In a Rut? Try a Coworking Space. HomeBlogAmenitiesIn a Rut? Try a Coworking Space. It starts slowly: your employees get squirmy in their seats. They ask nonchalantly ask what year the carpet was put in, and reply “Hmm…would’ve guessed the 70s.” They start getting up to get coffee more often, then complain about the quality of the office pot. They seem frustrated with working in a bland office park, or an area that makes it tough for them to meet with clients. These are all signs that your team could use a change in environment. A new office can spark change and excitement, especially if that office boasts a modern design, amenities, and even the company of other professionals. A coworking space has all that, and more. If your team seems antsy, or your current office situation is not setting you up for success, joining a coworking space is an easy way to revamp your office vibe. Coworking spaces are shared offices where you’ll work alongside entrepreneurs, freelancers, and professionals from all industries. Below are a few reasons why joining a coworking space is a great option when your team needs a change in environment! If you’ve been in your current office for more than a few years, chances are your business has undergone some changes. Maybe you’ve grown (and your employees are elbow-to-elbow, and fighting for fridge space) or your customer base has expanded geographically. Joining a coworking space is perfect way to address both of those changes. If your company does sales calls or otherwise meets with clients outside of your own office, where are those clients located? Can you find a coworking space that makes it easy, convenient, and quick to head out to those meetings? How often do you and your employees travel for work? Joining a coworking space close to the airport and major highways will make work travel that much more convenient. How social is your company? 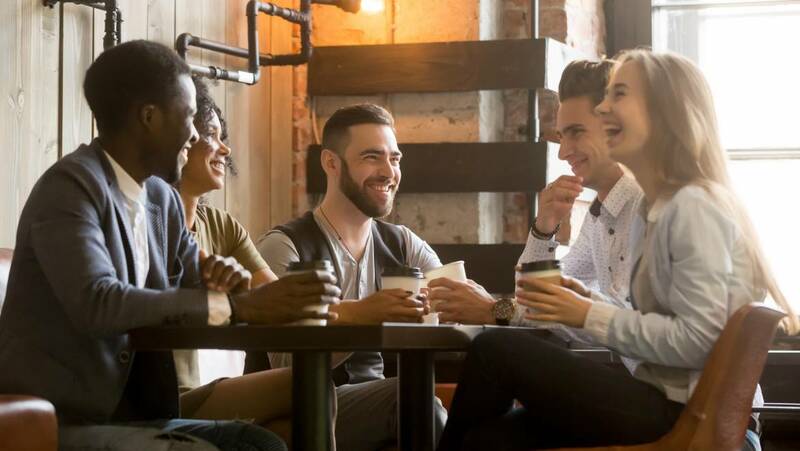 If your employees are young, vibrant, and love to try new restaurants together for lunch or hang out for happy hour, renting a shared office space near the lively areas of town will be a major boost for your company culture. Joining a coworking space is a great opportunity to revisit how much space your team needs. Maybe you’ve grown in the last few years. Maybe you just intend to grow in the near future. A coworking space, which usually offers multiple different working areas and styles, gives your team room to roam. An inspired space=an inspired outlook. Coworking is still a fairly new concept, and that means that most shared offices will feature updated amenities and current design trends. Those trends run the gamut from industrial-modern to cozy, colorful, and bohemian. As for amenities, think cutting-edge Wifi, smart TVs, and high-tech security to keep all your valuables safe when you’re out of the office. Who knows what kind of productivity your team can find when they’re not chained to a bland cubicle, or constantly trying to fix the printer? Coming out of cubicle jail. Nothing will inject new energy into your company like fresh faces- even if they aren’t working for you. In a coworking space, you’ll be surrounded by other entrepreneurs, freelancers, and professionals across industries. This means new friends and new ideas. Networking connections are basically guaranteed! In addition to expanding your network, having acquaintances in your workplace who aren’t actually your colleagues can be refreshing. 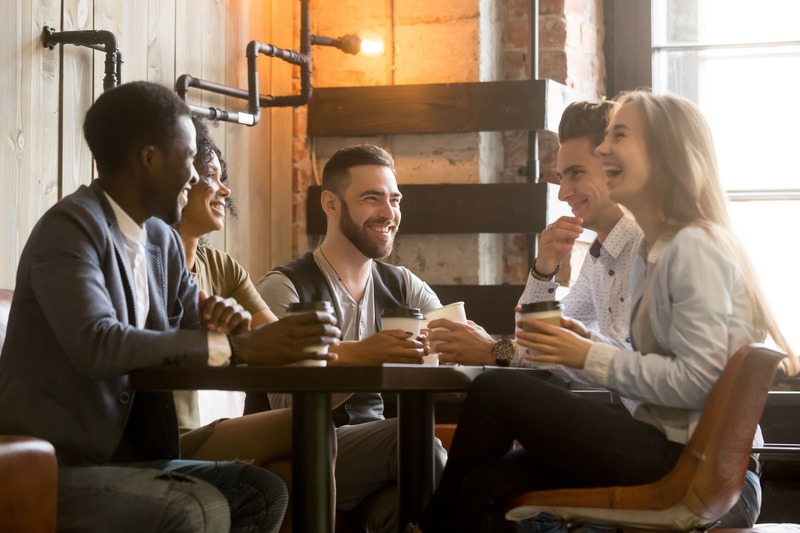 A water-cooler break can be an actual break when you get to chat with people who aren’t preoccupied with the same stresses. Ditto for problem-solving. An outside eye can shake up how your team approaches problems, especially chronic ones.